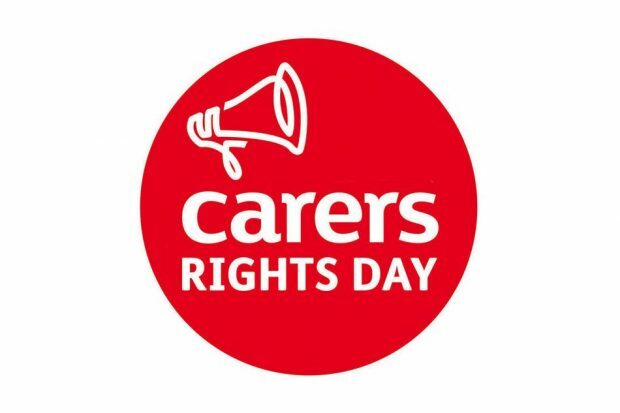 Today is Carers' Rights Day. This recognises the important contribution made by carers and the organisations that support them. Earlier this week, I had the privilege of attending an event held to celebrate Civil Service carers and the work done by the many departmental carers’ networks. I came away with a tremendous admiration for those who combine what can often be a very challenging caring role with a conscientious approach to their Civil Service jobs. I was also impressed with the time and effort put in by those who run our carers’ networks, often in combination with a caring role and a job. The experience of being a carer can bring new insights and skills to the work role. In turn, the Civil Service recognises the importance of providing carers with a supportive workplace so that they can undertake their caring responsibilities whilst feeling engaged and productive. In the People Survey, 67,000 of you have identified yourselves as a carer. This means that you are looking after a friend or family member who, due to illness, disability, a mental health problem, or an addiction, cannot cope without your support. Not everyone recognises themselves as a carer, so the numbers are probably higher than this. Many of us will become carers at some point in our lives. The role can start suddenly and can be unpredictable in its impact and duration. The constructive support of managers and colleagues can be crucial in enabling people to carry on. I see providing the right support to carers as one of the key components to getting inclusion right in the Civil Service. I have taken some practical steps to achieve this. Earlier this year, I launched our model Carers' Charter and the Civil Service Carer's Passport. By the end of this year, these will have gone live in all 18 main departments, as well as in a range of other Civil Service organisations. Departmental charters are there to enable carers and those supporting them to access all the relevant HR policies and sources of practical help and advice. The Carer’s Passport is a way of enabling carers and their managers to think about what flexibilities are needed to combine caring and work, and to document these in a way that can be taken from job to job. I would ask everyone to familiarise themselves with these two documents. If you are a carer, think about talking to your manager about completing a Carer’s Passport. As a next step, we are working with Carers UK to help them develop a scheme for accrediting the support that employers provide for their carers. This is due to be launched early next year. The scheme is a way of recognising the good work being done in workplaces and also helping employers to do more. I will be encouraging departments to take part in this new scheme. "I've been a carer for various members of my family, starting with my grandad back at the end of the 90s through to my mum now. "I never really thought of myself as a carer because, well, it's family so you just look out for each other don't you? You love them, you care for them. It brings you a little closer together. But you sometimes lose sight of the effect it has on you: how tired you become, how you stop going out, how both you and your loved one get frustrated with things and try not fall out with each other. Doctors and hospital appointments, radio- and chemotherapy sessions, phone calls telling you you need to go home because there's an emergency - they all take their toll. And then you have to go to work. "Since I've been with the Civil Service, I've had nothing but support and understanding from my managers and my colleagues. It's not an easy life for sure, but knowing you've got that support is very reassuring. However, you still feel like you're on your own. And that's where the Carers Network is so invaluable. Being able to share your experiences and learn from others in the Cabinet Office with the same difficulties as you is such a help, and it's opened up even more support, like Carers UK." In HMRC we have an active Carers Network and we also have bi-monthly dial-ins for carers to share their experiences and ask questions of each other. It can be humbling to hear the care staff provide to their loved ones and the amount of leave and their own time they use to provide that care. Flexible working opportunities can really make a difference. Thank you Nick for sharing your personal story. The support of Managers and Colleagues is very much key to enabling people like to be able to care family members. The FCO/DSFA Carers@ Network was launched in 2016 . They have done much to increase awareness and understanding. They have also had key speakers like Sally Phillips come in and share her personal experience of caring for a child with Special Needs whilst also having also working. I hope that your blog will help others. A great blog Rupert and great to hear you speak at the event and I for one felt humbled to hear you share your story. Thank you for being so gracious in that speech.